SPSS (Statistical Package for the Social Sciences) is one of the most frequently used statistical software packages. Check to see if it is available for use on your campus. Visit SPSS Learning Modules created by UCLA for more information. If SPSS is more analysis power than you require, Microsoft's Excel has a free statistical analysis add-in that performs many of the most frequently used analysis such as ANOVA, correlation, F-Test, t-Test, regression, and z-test. How to install data analysis on Excel? Now there will be a "Data Analysis" feature added to the "Data" tab in your version of Excel. Practical handbook for librarians working in all types and sizes of libraries. Develop and manipulate descriptive statistical information. Describes existing tools that can be used to evaluate any library service; introduces the reader to newer tools designed to measure customer and patron outcomes. A guide to understanding, designing, conducting, and presenting a qualitative research study; features mixed methods, action research, and data analysis. Handbook includes coverage of online research methods and techniques, mixed methodology and qualitative analysis. Tailored for information community. 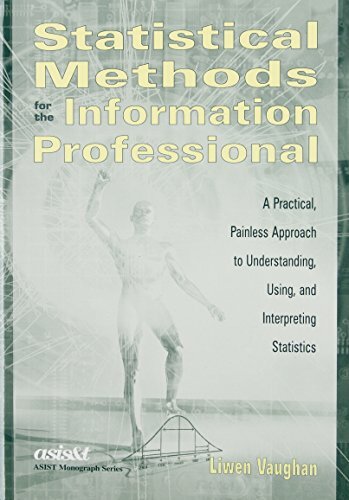 Statistical methods used in information science research. 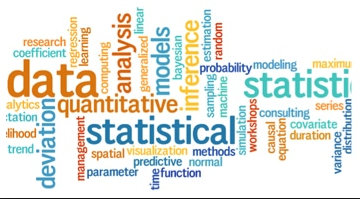 Emphasis is on the meaning of statistics, when and how to apply them, and how to interpret the results of statistical analysis.. Although written for a public library audience, this book presents a workflow made up of manageable steps for integrating outcome-based planning and evaluation that is relevant to academic libraries. MEDIAN: the point that divides the distribution of scores in half. Numerically, half of the scores in a population will have values that are equal to or larger than the median and half will have values that are equal to or smaller than the median. NULL HYPOTHESIS: often use to indicate the statistical hypothesis tested. The purpose of most statistical tests is to determine if the obtained results provide a reason to reject the (null) hypothesis that they are merely a product of chance factors. STATISTICAL SIGNIFICANCE: the probability of a result from a statistical test occurring by chance. Important examples of qualitative library research are presented in Studying Students: The Undergraduate Research Project at the University of Rochester, edited by Nancy Fried Foster and Susan Gibbons (ALA, 2007).